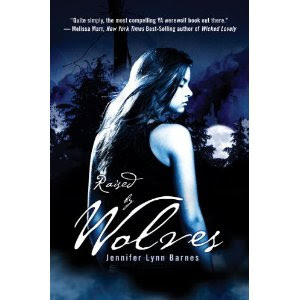 Happy Release day to Jennifer Lynn Barnes and Raised By Wolves! 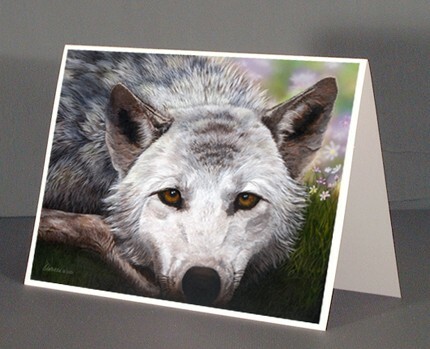 To celebrate we have two wolfy giveaways already under way on the right sidebar and an ARC tour which started last week. Eamil us if you are interested in joining the ARC tour. 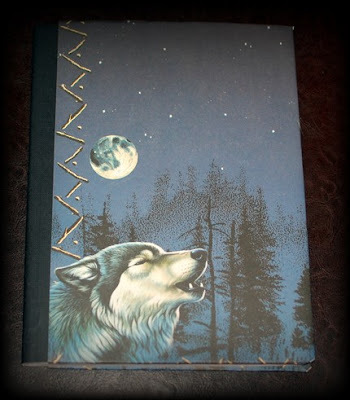 And check out all of our wolfy items in the Etsy shops!! 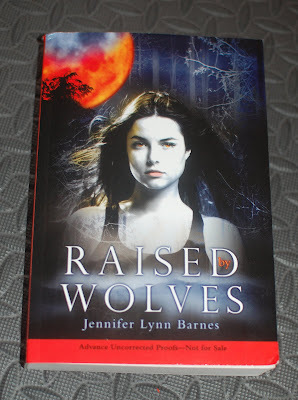 Synopsis From Goodreads…Adopted by the Alpha of a werewolf pack after a rogue wolf brutally killed her parents right before her eyes, fifteen-year-old Bryn knows only pack life, and the rigid social hierarchy that controls it. That doesn’t mean that she’s averse to breaking a rule or two. I just finished this book last night after three days of straight reading. 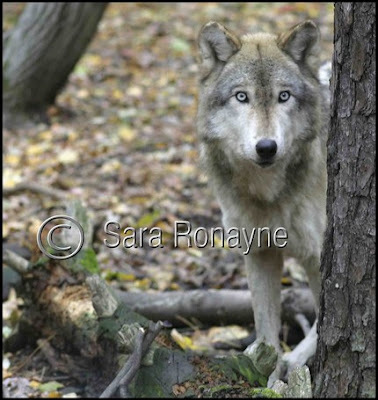 It’s a long and in-depth look at one humans’ experience being raised as an orphaned teenager by an alpha and his pack of wolves. Bryn is a scrappy headstrong girl who is looking for answers after her parents were killed by “the big bad wolf” of her nightmares. Along comes Chase, a boy who shares her past and some secrets of his own. What is the pull that draws them together and why does he feel so familiar? She will risk her life and lifelong loyalties to find out. As the story unravels it is evident both Chase and Bryn, the whole pack as well as countless others are in danger. Can they stop the attacks before it is too late? Raised by Wolves is a breath of fresh air to YA fiction and is psychologically interesting. I appreciate that it’s free from swearing and adult situations. I personally wanted to know more about Chase and “get inside” his head to hear his thoughts of Bryn. I kept waiting for the full story behind his past and more interaction between the two main protagonists. Pack supervision and alpha power keep them removed from each other for most of the book. The villain is truly creepy and Jennifer Lynn Barnes makes him the most real character of all. He truly made my skin crawl in the last chapters. Email us if you are interersted in joining the ARC tour which kicks off today! the chill in my spine climbing its way to the hairs on the back of my neck. Contact us via email at fireandice.heather@gmail.com if you are interested in reading and reviewing this book as a part of our ARC tour.